I created three cards with this set! I went back to some older paper for these cards and I think they were just perfect! These papers are still available but ONLY until July 31st! Let's take a look at them individually! My first card I used the Clementine (X7156B) paper. It was the perfect backdrop for the peaches. I used Cocoa pigment ink to stamp the sentiment and the peaches. Next I used my alcohol markers for coloring mixing Autumn Terracotta and Sorbet for the peaches and Olive for the leaves. The blossoms have just a touch of Blush. The alcohol blending pen added just the right amount of lightening for the peaches. I tied off my card with Natural Hemp and added two Pearl Opaque Adhesive Gems. For my next card I pulled out the Avonlea (X7155B) paper. This stamp makes me think of the apple trees that my grandma has on a hill near her house. I stamped the image and sentiment with Chocolate pigment ink. and colored the apple with Sweet Leaf and little bit of Olive alcohol markers. After trimming out the apple branch I added it to my shape I cut from with the Artiste Cricut Cartridge (Accent 3 Shift <M>). I found some green satin ribbon in my stash that looked perfect for my colors and added Mocha Opaques Adhesive Gems for my final touch. The western themed Dakota (X7157B) paper rounds out my last card with the sweet cherries! I added Black Shimmer Trim and two Black Sparkles. The shape was cut from the Artiste Cricut Cartridge (3d Object Shift <@>). I used Black pigment ink for stamping and Ruby and Sweet Leaf alcohol markers for coloring. I curved the sentiment "Sweet as cherry pie" on my block so that it would be round like my shape. Remember! The SWEET LIFE stamp of the month is available ONLY during the month of July! 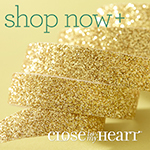 You can purchase it for just $5 when you purchase $50 in Close To My Heart products! 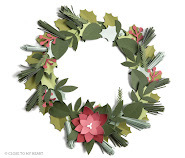 Now, hop on over to Kim Schnoor's Blog and see what she has created for you! What an exciting day it was yesterday at Close To My Heart's annual convention. The room was electric with excitement as over a thousand consultants waited for the new product announcements. 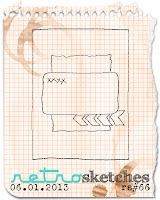 The most exciting news was the announcement of a new EXCLUSIVE Close To My Heart Cricut Cartridge called Artbooking. This new cartridge is guaranteed to take your scrapbooking to new heights. This new cartridge has accents, borders, titles, and photo mats that all accompany 15 layout themes and 10 mini books themes. You can create beautiful artwork with just the touch of a key! Celebrate birthdays, new baby, vacations, sports holidays and more! 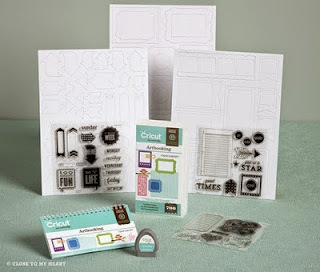 Just like our other exclusive collections, this new cricut collection includes 3 d-size stamps and three sets of dimensional elements! This entire collection is just $99 and is available only through Close To My Heart beginning August 1st. 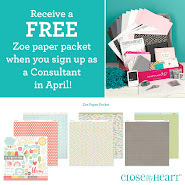 Better yet, host a party with sales of $250 and get this collection for $49!! Our Workshops on the Go are better than ever plus now even a better value! The WOTG kits now include a D-size stamp than includes a versatile title that eliminates the need to have an E-size stamp! These stamps will give your layouts a focal "WOW" to your layouts. The WOTG kits also include an additional 3-4 sheets of cardstock to then paperback! All of Jeanette Lynton's How To books are back!! These wonderful books have returned in spiral bound edition. Make It From Your Heart Volume 2 is out! 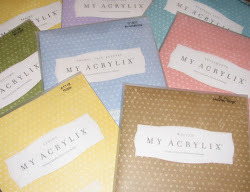 16 new two page layouts, 2 single page layouts and 12 different card patterns to choose from! Are you holding on to lots of little memorabilia like ticket stubs, letters, mementos and more that you plan to 'do something' with someday? Someday is here! Place these favorite events in our new My Crush books! These are a great way to quickly capture these memories on the go. Choose from two 10x7 My Crush books- Modville or Bluebird. No paper trimmer required! These 60 page spiral bound books have a hard cover and you can add additional Memories Assortments which include stickease, Alphabet stickers and 2x2 envelopes. These are just a few of the exciting new products! I will share more soon! 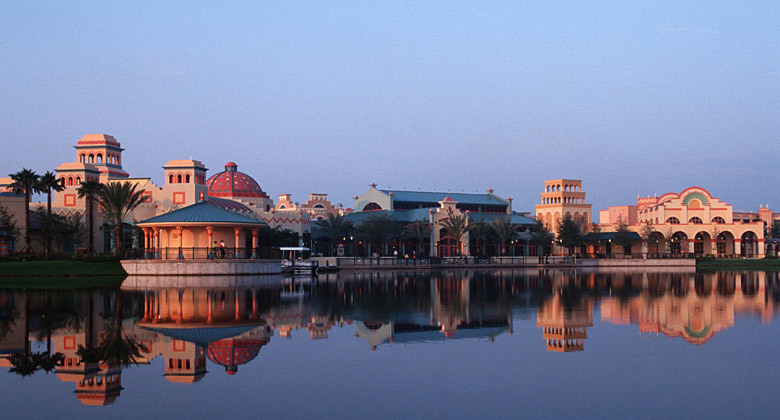 I'm in sunny Orlando Florida this week at the Close To Mt Heart Convention! We are just hours away from the big reveal of the new Autumn Winter Idea Book and products!! Be sure to visit my Stampinheaven Facebook page for updates!! I will return to soon to blog more details about the exciting new products! Today, I'm off to my 4th Close To My Heart Convention! 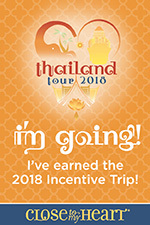 I knew after attending my very first convention in Washington, DC in 2010 that I would never want to miss another one! In 2011, I went to Disneyland in California and last year I attended the convention in Dallas, TX. This year it's off to Disney WORLD in Orlando Flordia!! I can't wait for all the excitement to begin. The first General Session is always electric with anticipation of the new product announcements. There will be much laughter, squealing, cheering and LOTS of giveaways! It is a tradition to make (or purchase) roomie gifts for the ladies you room with. Last year I roomed with 3 other ladies but this year it is just me and my friend Heather. I've had an idea for several weeks now what I wanted to do but didn't get a chance to finally sit down and do it until Sunday afternoon. For Heather's wall hanging I used a page from the now retired All Sorts Mini Album. I covered it with For Always paper. Then I created some chalkboard art for the center on black cardstock. I used various stamps sets - "Success", "Create" and "Inspire" were all from an exclusive stampset that consultants attending the 2011 CTMH Convention received. "Live" and "Laugh" were created from alphabet stamps (Extreme and Bingo - both retired) and "Dream" was from the set Dreams Come True, also retired. I added a fabric ruffle to the bottom with the For Always Textiles (Z1820). The ribbon hanger is from the Black Tulle (Z1798) with Rhinestone Designer Brads for accents. They seem rather large but hey - maybe they will get noticed. I used the polka dot For Always Textiles to make a ruffle. I sewed a red zigzag on the edge. (yes - in another life I used to sew.... haha) I cut a scallop circle with the Art Philosphy cricut cartridge to cover up the raw edges of the ruffle. Next, I cut a bow from the Artiste Cricut Cartridge and of course - added bling....more Rhinestone Designer Brads. A friend and co-worker is retiring this week! (What a lucky gal!). My manager asked if I would make a retirement card for our group to sign. Of course I said YES! Instead of making a card, I decided to make a book! I wanted to create something more than card that all of us could write something special in. The 6x6 Memory Showcase was the perfect choice! Since she loves to cruise, I used the Tommy paper and Tommy Canvas Assortment. Here are pictures of the book. 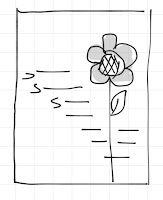 The envelope hold tags that each member of her immediate workshop could write on. One last group shot with signature tag. to stick to the paper I ran through the printer. The canvas pinwheels are layered with foam tape. The large banner is an extra banner I had left over from the My Creations Mini Banners. 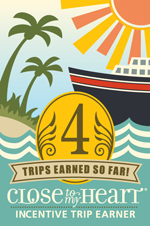 Wouldn't this be a great keepsake for someone going on a cruise?! Not to mention - someone retiring and planning to GO on a cruise!!! Wow.... It's been a really busy week! I had three of my monthly club meetings all this past week and in the middle of that, I've made a 6x6 book for a friend who is retiring (will share that soon), and I've been getting ready for convention - which means I needed to create a roomie gift too! Our annual Close To My Heart Convention is next week and I've had a mile long list of things to do. I'm slowly checking them off. So, that has left little time for some plain ol' crafty fun. I did manage to squeeze some in this evening. If you keep up with me, you know that no matter how busy I am, I still love to check in on my favorite challenge blogs. Sometimes it helps to take a small break from 'busy' and do something fun. That is exactly what I did tonight. While my hubby was out watering the shrubs I took advantage of a little bit of time and threw together this card. The flower and sentiment are from the Hooray Bouquet (D1491). I cut the flower from the Art Philosophy Cricut Cartridge (Z1686) before stamping with Honey ink. I created the stem, leaf, and flower center with Black/white Baker's Twine (Z1701). The sentiment was stamped in Black ink, and then I used 2nd and 3rd Generation stamping to repeat the sentiments. 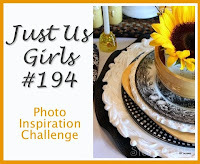 I used the sketch from Clean and Simple Stamping along with this photo inspiration from Just Us Girls Challenge. Be sure to stay tuned! I've got a couple of scheduled posts going up while I'm gone! First, the 6x6 Memory Showcase album with the Tommy paper and Canvas shapes! And my special room gift you won't want to miss! On Thursday and Friday I plan to post some sneak peeks and hints about new things coming our way! I can't wait! 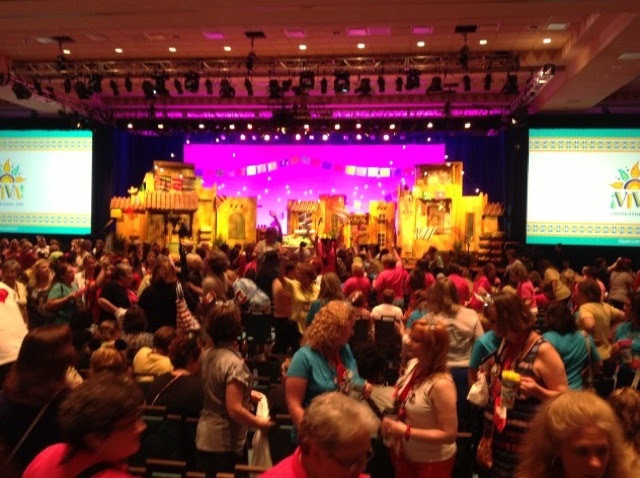 Want more convention updates? Be sure to LIKE my Stampinheaven facebook page! I'll be updating that page all throughout convention. See my page HERE. In the meantime, be sure to check out our retiring list of products! I've posted them all on a separate tab HERE. All of the retiring products will be unavailable after July 31 so you will want to order these before they are gone! The Friday Mashup Challenge this week was really cool and I couldn't wait to try my stamps with it! It's called the Brickwall Technique. 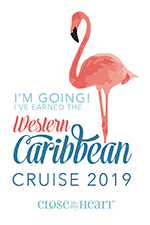 I knew I wouldn't get to it until later on Saturday but I mentioned it to one of my really crafty friends at lunch on Friday and told her she needed to check it out and give it a try! She did and she texted me Friday night saying she did the brick thing and wasn't sure she was liking it! She had all the pieces cut up and the putting it back together was a pain. I suggested she call her daughter in to put it back together for her - sometimes kids are great at puzzles. She sent me a pic and I really liked her finished product. Not sure she is going to post it though. I told her she should! First, I stamped my image. I used the Home of the Brave stamp set and stamped on a piece of Whisper cardstock. I stamped the star clusters and the stripes with Ruby ink and the stars on the flag in Outdoor Denim. Next drew lines every 1/2" horizontally on the card. I marked off the bricks to measure 1/2" x 3/4". The small bricks on the end are 1/2" x 1/2". Once all the bricks were marked off, I numbered them so that I could easily and quickly put them back together. Here are the bricks cut apart and ready to be put together! I used Whisper Ink to sponge the edges of each brick to give each one a defined look. I pulled some Dakota paper (X7157B) from my stash for my card and added Pewter Durables Square Studs (Z1705) for a simple accent. I really like this technique and see that it could be a fun thing to try with many different types of images! Be sure to check out the other cards on Friday Mashup! The Home of the Brave Stamp is one of three EXCLUSIVE stamps that are available only during June and July. 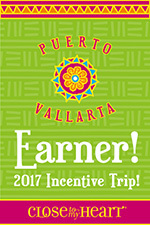 $5 from the purchase of this stamp will be donated to the USO. You can find out more information on these Patriotic stamps HERE. On Friday I gave a little bit of the History of Flag Day (see my card and post HERE) so I thought it would be fun to look up the history of Father's Day. I bet you'd be surprised at how long (or SHORT) it's been an OFFICIAL holiday! On July 19 of 1910, the governor of Washington, proclaimed the nation's first "Father's Day". However, it was not until 1972 that the day became an official holiday in the United States. This was after we had be already celebrating Mother's Day for 58 years! In the 1920s and 1930's many tried to scrap the idea of a Mother's Day and a Father's Day suggesting that there should just be one holiday - a "Parent's Day". Then the great despression came, and many struggling retailers and advertisers doubled their efforts to support Father's Day by promoting neckties, hats, socks and tobacco and sporting goods. When WWII began, advertisers argued that celebrating Father's Day was a way to honor the troops and support the war efforts. By the end of the WWII Father's Day had become a national institution. Finally, in 1972 Richard Nixon signed a proclamation that at last made Father's Day a national holiday. Happy Father's Day to ALL of the Father's out there! Here is the card I created for my Father! 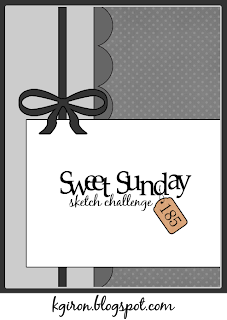 I used the sketch from Retro Sketches for my card and paper from Later Sk8r. The "Happy Father's Day" was cut using the Artiste Cricut Cartridge. To add a little texture to the plain Outdoor Denim cardstock base, I used a texture stamp from the Universal Background stamp set. I scissored distressed the edges of the paper and cardstock to give it a rough look. June 14 - Flag Day in the USA! With BJ Cigrand and Leroy Van Horn as the moving spirits, the American Flag Day Association, was organized for the purpose of promoting the holding of Flag Day exercises. On June 14th, 1894, the first general public school children's celebration of Flag Day in Chicago was held in Douglas, Garfield, Humboldt, Lincoln, and Washington Parks, with more than 300,000 children participating. So Here's to National Flag Day today! I just LOVE this little stamp! I created another card tonight with the A True Thank You stamp. This stamp was to be introduced in Close To My Heart's Fall Winter Idea book but after the terrible tornado tragedy in Oklahoma, Close To My Heart pulled it out early for something very special. During the month of June, 100% of the profits from the sale of A True Thank You will go to help aid the relief of the Oklahoma Tornado Victims. According to the Corporate offices last week, already THOUSANDS of this little stamp has been sold! We still have a few weeks left in June so I'm hoping that thousands more will be sold! I actually purchased several because I think these will make great little gifts! Here is the card I created tonight using the colors from this week's ColourQ challenge along with a sketch from our Close To My Heart's How To Book - Wishes. If you would like to help aid in the relief you can purchase your A TRUE THANKS from my website! 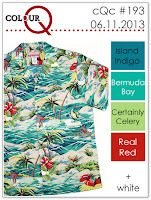 Go to www.stampinheaven.ctmh.com and order yours today! One of the things I just LOVE about Close to My Heart is their generous giving spirit. They have made it so easy to help those affected by the May tornado that tore through Oklahoma. Close To My Heart is making a new Autumn/Winter 2013 stamp set, A True Thank You, available immediately and will donate 100% of the profits from sales of the set from May 23 through June 30 to the American Red Cross to aid the Oklahoma victims. 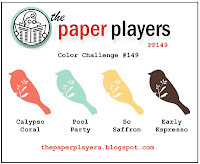 I used the sketch from Clean and Simple and the colors from the Paper Players Challenge. I stamped the "thank YOU" several times in Cocoa pigment ink onto the card. 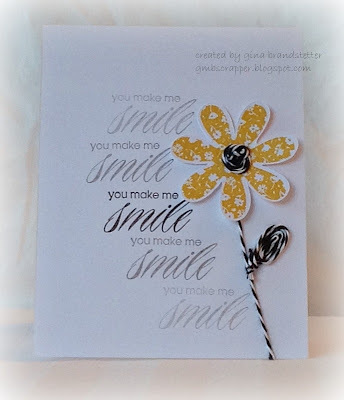 Next, I stamped it three more times onto a piece of White Daisy card stock and then used Close to My Heart's Sorbet, Creme Brulee and Lagoon alcohol markers to color the "YOU". I then cut out each colored "YOU" and used foam tape to adhere to the top of the sentiment. The ribbon is from the now retired Cocoa Ribbon Collection. Help us provide relief to those affected by the devastating Oklahoma tornado by purchasing one or more A True Thank You stamp set for $2.95 (M1029) today! 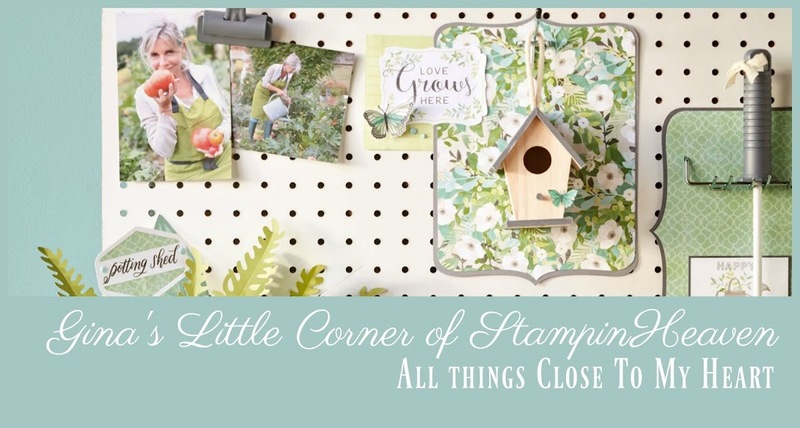 Visit my website at www.stampinheaven.ctmh.com to order today! I needed to make a card for an upcoming party. Since it's summer, I thought using the Surf's Up paper would be perfect! 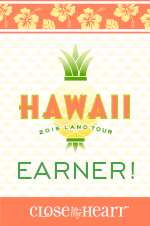 I used Honey and Sorbet ink for my palm tree and flower, first inking the stamp in honey and then rolling the edges in Sorbet. I love the look of this technique. The palm tree, flower and little waves are from the stamp set Tropical Paradise (C1531). I cut the conversation bubble using the Artiste Cricut cartridge and stamped it with "thanks" using a stamp set that is included in the Artiste Cricut Cartridge Collection. This card makes me want to go to the beach! It seems like all too often these days someone close is called home to be with the Lord. So, lately I've been making a few sympathy cards - not always an easy task. I wanted to share this Sympathy card I made for a friend who's father recently passed away. I chose to use the Buzz and Bumble paper for this card because before he had passed, my friend was telling me how he loved to keep bees. She told me about the days when she was small and she would help turn the crank that would spin the hives to extract the honey. I could tell she had a lot of memories of that. Even weeks before he passed, she told me he still went out to take care of his bees. "Be Still and Know that I am God" is perfect for this card. It comes from one of my most favorite stamps - Be Still (A1141). Bees are fascinating - just a small part of this amazing world of nature that God created. When you stop and take a moment to "Be Still", and take a look at the smallest thing you will know that God is around us everywhere. Inside the card, I used another sentiment inside from the Words of Comfort stamp set (C1524). "May looking back in memory help comfort you tomorrow". These are two must have stamps for any cardmaker's collection. Both of these stamps can be purchased on my website at www.stampinheaven.ctmh.com. I needed to make another graduation card recently so I used the sketch from CAS(E) this Sketch!. I'm almost too late in getting it posted. My dear hubby has been trying to fill up his new found free time (no more summer travel ball anymore) so he's been working on re-landscaping our yard. Front AND back! For some reason, he thinks I have this same new found free time and I want to spend it working in the yard. So I spent Sunday going to the nursery and then planting several new bushes that we brought home with us. I have to admit - it does look pretty good. This was quick and easy. 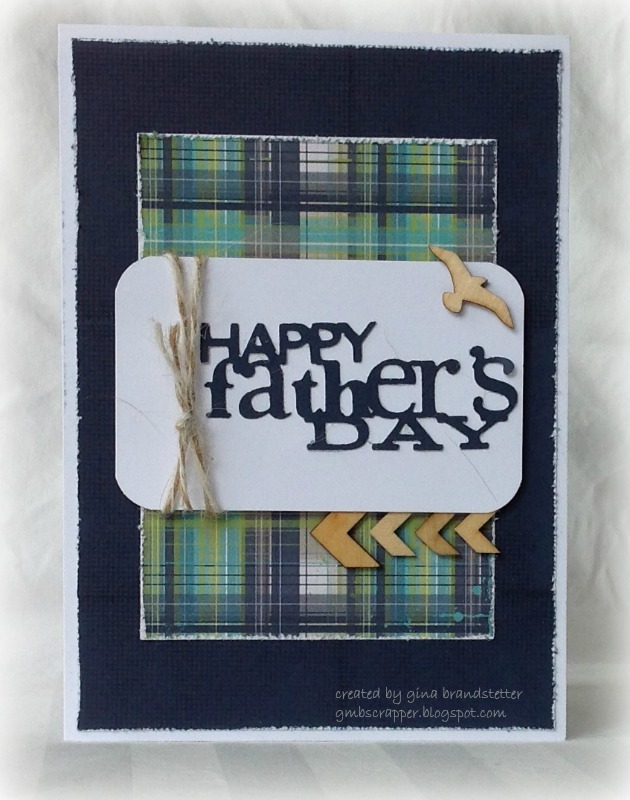 I used bits of paper from the Claire Paper (X7166B) pack layered on Outdoor Denim Cardstock. The "Congrats" was stamped with Outdoor Denim ink and the Cocktail Alphabet (E1015). I used Natural Bakers twin from the Mini Medley Accents Wooden Collection (Z1837) to tie it all together.